Clear all 72 jellies and reach 32,000 points to complete the level with in 40 Second. This level has hard difficulty. 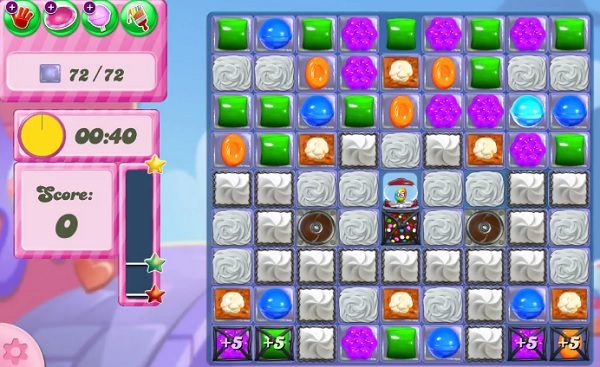 For this level try to play from bottom and use more special candy with normal candy instead of other special candy to save the time. Or play near to jellies to break them all.